I went up to London today to be a part of the Diamond Jubilee celebrations and the event brought to mind a couple of things that I thought I’d talk about in today’s vlog. Yes I’m tired, I’ve got no make up on, but this is me, no rehearsal, straight from the heart. Day 3 and I’m talking about your ‘why?’, your motivation to better your health. Today’s vlog is about taking responsibility for our own health. For the month of June I am taking part in the 30 Days Business Challenge when I, and several other international female entrepreneurs, will be posting videos every day giving you hints, tip, news and views, sharing ways to help you be the best you can be. Vitamin C has been one of the most popular vitamins, ever since naval physician James Lind prescribed citrus fruits and fresh vegetables to prevent and cure scurvy in the 18th century. Nowadays we take it for a whole host of reasons, but mainly to play a part in the body’s defence system during the winter months. 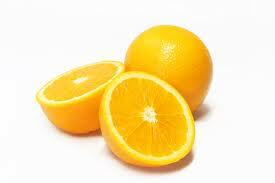 I remember taking tiny orange flavoured vitamin C tablets when I was at primary school. 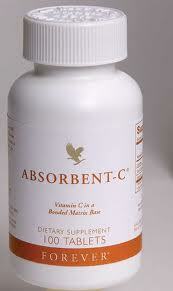 As well as a defence against colds and flu, vitamin C also has a mid histamine effect and increases absorption of iron. So if you’re taking iron tablets for anaemia, are you also taking enough vitamin C? Healthy connective tissue also needs a strong supply of vitamin C plus it increases the formation of intercellular collagen so very beneficial for the skin. Unlike most other mammals, humans cannot make their own vitamin C, hence why need to ensure a plentiful supply in our diet. The Recommended Daily Allowance is 60mg but pregnant women, heavy drinkers and smokers need more. In fact, just one cigarette destroys 25mg of vitamin C. Stress, medication and environmental factors also deplete the body’s levels. My favourite is Forever Living’s Absorbent-C which is a unique combination of vitamin C bound in an oat bran matix. Oat bran is a soluable fibre found in unrefined oats and absorbs water in the stomach and small intestine and slows down digestion. Many vitamins that are labelled ‘timed-release’ are generally mixed with (harmless) chemicals called polymers that slow down the stomach’s ability to dissolve the pill. However, Forever’s vitamin C uses the oat bran matrix to create the ‘timed-release’ effect. So anyway, there I was, this morning at 7.15am, typing an article for an online forum about stress. I’d typed my 2000 characters, pressed review and got an error message, pressed back and my article had disappeared. BIG deep breathe and ironic laughter as I was not going to get stressed over writing an article about stress. Work is the biggest cause of stress in the western world, with our technology overload, long hours, job insecurity and, for the self-employed, working in the business as well as on the business. We all need some stress to function but when a personal believes the demands made of them exceed their ability to cope, then they will experience negative stress. According to a recent Aviva survey, UK workers are putting in an extra 26 million hours a day. The mental health charity Mind recent reported that £26 billion is lost each year by British business in sickness absence and lost productivity. Signs you or a colleague may be stressed include irritability, lack of motivation, changes in appetite, headaches, crying, palpitations, anxiety, more coughs and colds that usual, lack of concentration, increase in spots on skin or ezcema, muscle tension to name just a few. You may not think you are stressed now but if you continue to place yourself under excessive pressures, work late, read emails at 11pm, try to do it all yourself, then the compound effect comes into place and a few months or even years ahead you could well suffer with stress. So what can be done to help reduce stress? Change your beliefs – the way we think about a situation can have a direct bearing on the amount of stress we experience. Reframing a situation and looking at it from a more positive perspective is very useful. Plan and time manage your day and week ahead, don’t leave things til the last minute and set boundaries if your office is at home. Delegate and ask for help – 4N is awash with people who can help. Breathe deeply – take a moment to sit up straight and breathe from the stomach, breathe in for count of 4, hold for 2 and out for 6. Finally, TAKE A BREAK. There is no excuse not to take a moment out of the workplace, particularly on a lovely autumn day/evening like today.